Bold character development and strong mythology breathe life into this compelling young adult fantasy. 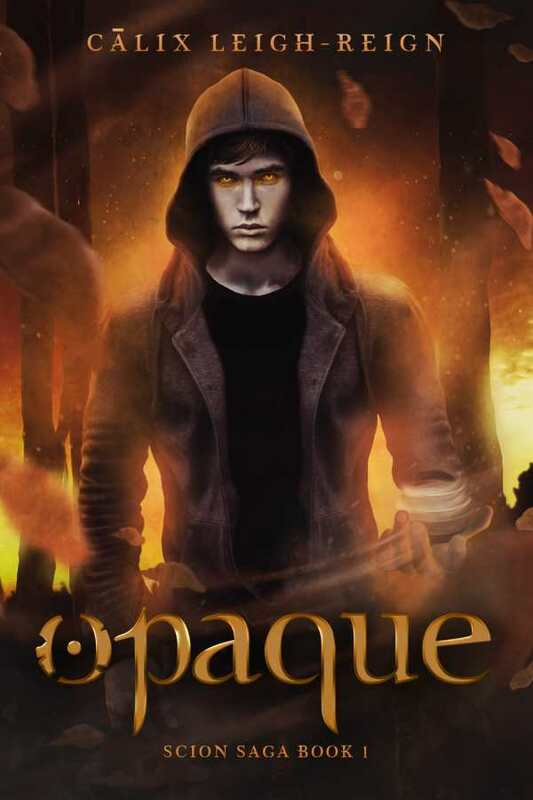 Opaque by Cālix Leigh-Reign kick-starts a new sci-fi series by courting controversy, through a disturbed teenager battling his inner demons and a girl with strange eyes who shatters his world. Adam Caspian seems like a normal teenager, but a stain of darkness on his soul threatens to drag him under. He struggles to fight urges like lusting after his mother. Among other wanton acts of violence, he accidentally murders a cashier. He finds solace, though, in a new girl, Carly, whose eyes light up around the edges, utterly captivating him. Adam and Carly turn out to be descendants of seven Russian families with biokenretic powers of the mind that are activated and controlled by their own cells. As they fall in love and delve deeper into their heritage, a traitor draws them into a battle between the descendants and a group determined to enslave them. Adam is a boldly developed character, and he serves as the crux of the story. At first blush, he is a controversial lead, especially as a romantic interest: he reads books on how sociopaths blend into society and builds a serial killer shack in the woods. But as Adam comes into his powers and develops a relationship with Carly, these factors are explained, and all the pieces click into place. His journey from a potential serial killer to a commanding biokenretic being keeps pace with his relationship with Carly and their attempts at discovering the truth of their heritage. Carly herself is a breath of fresh air in the young adult genre. Leigh-Reign writes her realistically, as an Afro-Russian heroine with a healthy figure, strong nature, and fierce intelligence. While the young couple becomes infinitely more dangerous together, Carly does not need Adam to keep her safe or alive. Their relationship and fighting maintains wonderful balance, flipping the damsel-in-distress trope too prevalent in YA. Biokenretic abilities and limbal rings—the rings around the descendants’ eyes that light up whenever they activate their powers—are fresh elements as well. Opaque builds its world and mythology without slowing down or detracting from the romantic subplot. The difference between genetics and family plays a major role in the story, both in terms of the new powers and relationships. These factors all add up to a strong series beginning, particularly as the descendants’ understanding of their powers and place in the larger battle increase. Opaque starts the Scion Saga series beautifully. Bold character development and strong mythology breathe life into the story and help it stand out from other YA sci-fi adventures.